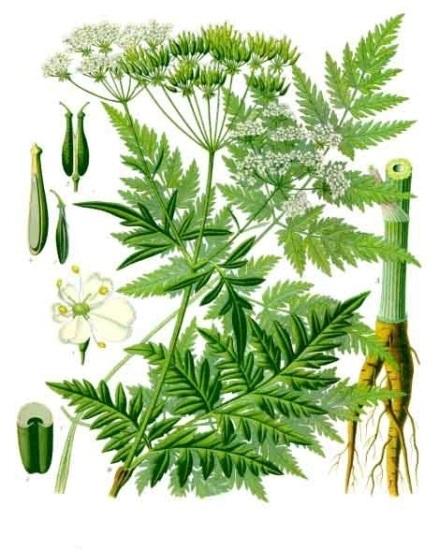 Anthriscus sylvestris is a biennial or short-lived perennial C3 herb (Pooter et al.1990) to 1 m tall, freely branched from a rosette from a stout taproot to 2 m long (Darbyshire et al. 1999). 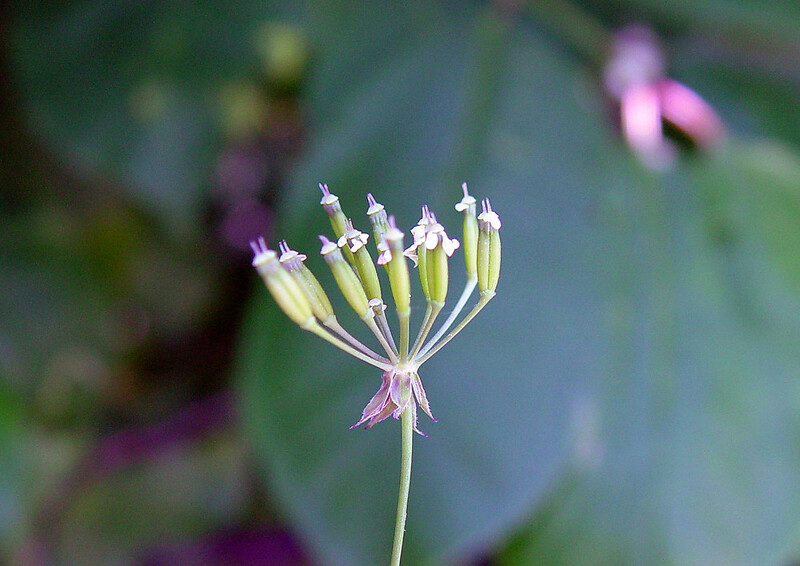 Leaves alternate, 2-3 times pinnate, segments 1.5-5 cm, divided or deeply toothed. Flowers white, radially symmetrical, small, 5-parted, ovary inferior; inflorescence of compound umbels; small, umbrella-shaped clusters at the ends of the rays (thin stalks) of a larger (primary) umbrella-shaped cluster with 6-15 rays to 4 cm long, (a compound umbel), bracts below secondary umbels 0.3-0.6 cm long, narrowly egg-shaped, margin hairy; pollinated by numerous insects including flies, beetles and bees (Darbyshire et al. 1999). Anthriscus sylvestris young fruit. By Arthur Haines. Copyright © 2017.New England Wild Flower society. gobotany.newenglandwild.org (Accessed 8/2017). Fruit dry, 2-parted, hairless, lance-shaped, 0.6 cm long with a beak 0.1 cm long. Habitat: Probably a rather ephemeral weed on open soil and disturbed sites. Notes: Produces 59 essential-oils, flavonoids, and phytosterols. Infected by parsnip yellow fleck seqyuivirus transmitted by aphids (Darbyshire et al. 1999).